Welcome Taft College Veterans! We are located in the Administration & Student Services building in the Counseling Center. Taft College is an approved institution of higher learning and a training facility for veterans applying for Veterans Administration (VA) educational benefits. 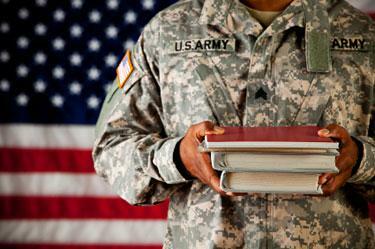 Taft College provides educational support to veterans, active duty servicemen, and dependents of veterans. Please familiarize yourself with the information links at the top. We hope that this website will provide all of the information needed to assist students who want to start receiving VA education benefits. After registering for classes, please submit the Online Request for Certification. The VA Counselor & Certifying Official will verify that the courses you are registered for meet your VA approved Educational Goal, and will report your enrollment to the VA. You will receive an email confirmation once your certification is submitted. For questions on your certification status, please contact Brittany Lange or Gabriela Molina. For questions on beginning the Veteran enrollment process, please contact Juana Rangel-Escobedo. We look forward to serving you at Taft College!